Now that the tax season is officially over, a few of you have no doubt figured out that you’ve made a mistake on your tax return. In fact, with the constant addition of new tax laws and regulations, thousands of Americans are submitting their 1040s with errors. But have no fear – it’s not the end of the world. That is, of course, assuming it was an accident. 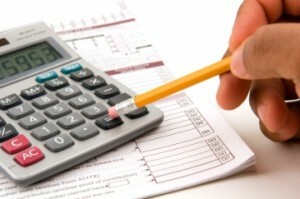 Some people end up omitting deductions they later found applied to them. But most realize they neglected to include some form of income – small business income, interest income, etc. For whatever reason, people fear that these types of mistakes will bring the IRS knocking at their door. However, there’s no evidence that amended returns are a “red flag” for IRS auditors. After all, it’s what’s on your return that counts. The IRS even encourages individuals to file amended returns for deductions or credits they failed to take. For example, many people last year overlooked the one-time telephone-tax refund that was available on 2006 returns. So, if you’ve made a mistake on this year’s return, what can you do? As mentioned above, simply file an amended return on Form 1040X (PDF Link). Don’t try and fix your mistakes on your current year return. The timing of your income and deductions can effect what you are able to do in future years. Luckily, the statute of limitations states that you can amend your return within three years from the later of the filing deadline or the date you filed your return. But don’t file an amended return if you just correcting math errors. The IRS checks the math on your return and will send you a letter informing you of the changes they made to your return. There is one downside to filing an amended return: you’ll have to do it on paper. You can’t file an amended return electronically yet.